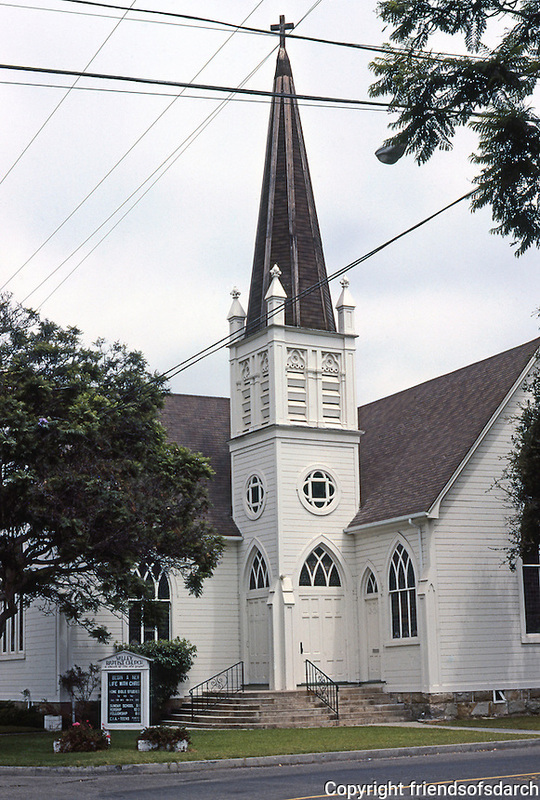 Carpinteria Valley Baptist Church (L-shaped), 1892; originally, First Methodist of Santa Maria. "A delightful small Gothic Revival church with excellent Eastlake leaded stained windows." Photo '85.